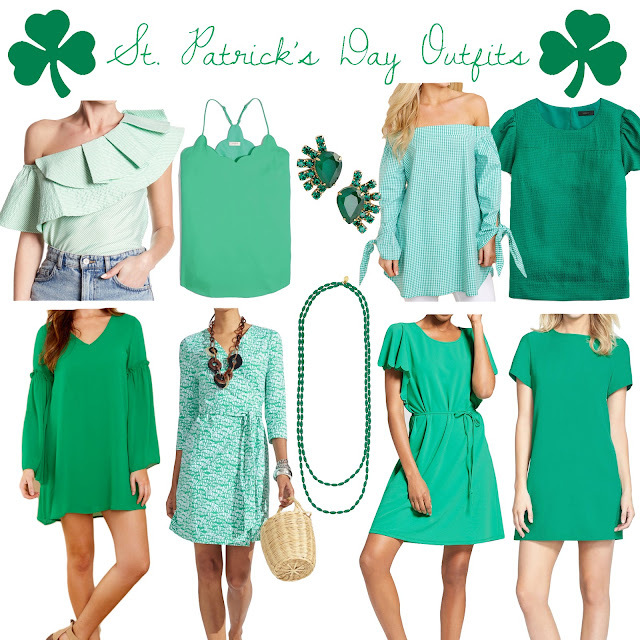 I haven't been the best blogger these last few months... unfortunately wedding planning, house hunting, and life in general has been a higher priority but I had to come back and post on a few of my favorite new summer Lilly Pulitzer pieces! It's no secret that I am a Lilly lover/fanatic and summer Lilly is always my favorite! The colors are so vibrant, the prints are so fun and the styles are perfect for hot summer days, nights and everything in between! This season is also a little dangerous because I have so many "once in a lifetime" parties and adventures (bachelorette, bridal shower, honeymoon, etc.) 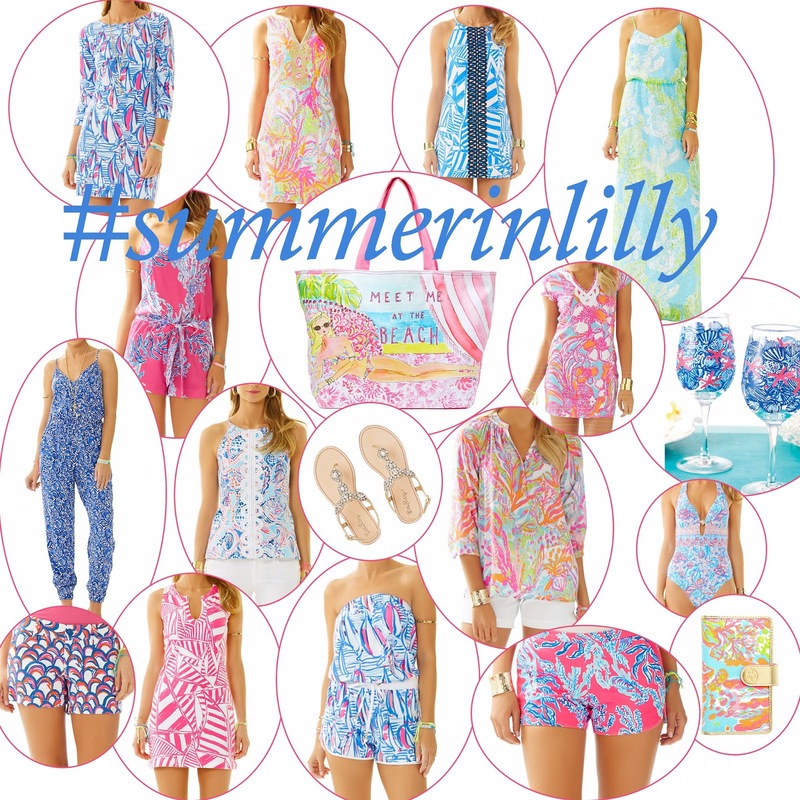 that I would love to sport some new Lilly to! 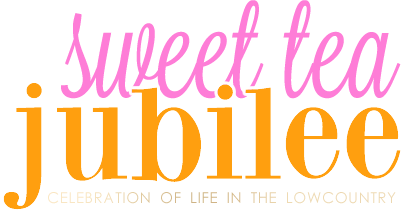 My bachelorette party is coming up next weekend and I've already planned out my romper (or jumpsuit) filled wish-list! Which pieces are some of your favorites?? P.S. 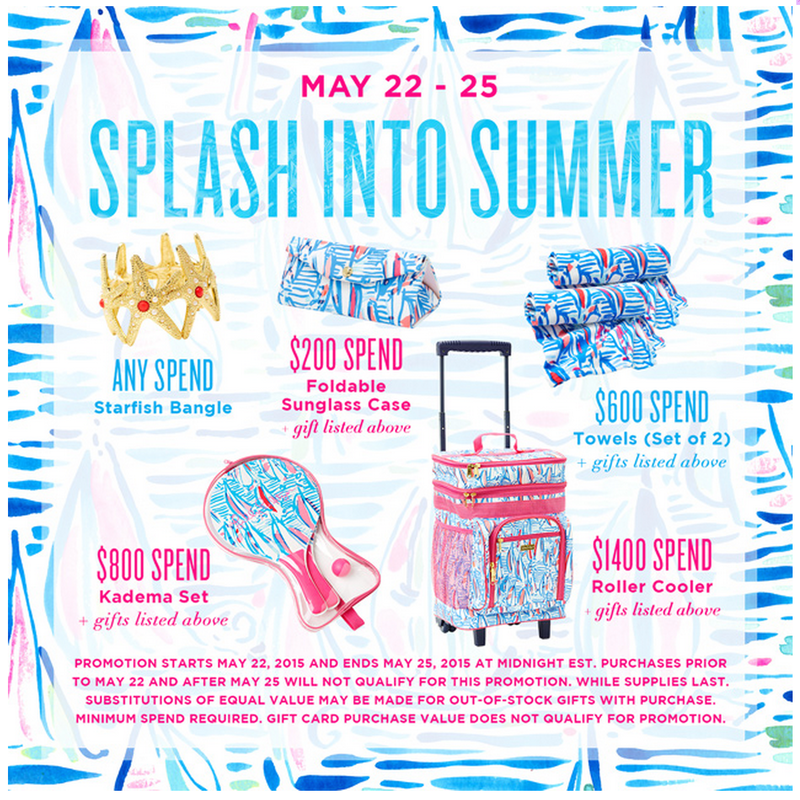 Through Monday, get gifts with your purchase for their "Splash Into Summer" promotion! Who doesn't love gifts? !